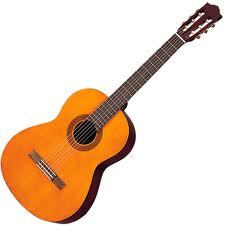 What type of guitars are suitable for learners. That someone who had been teaching guitars for over a decade was found to be wanting in suggesting what types of guitars are suitable for learners. My disapproval was obvious when my son told me that he knew someone who is good at teaching guitars and keyboards. I asked my son what the teacher’s name was so that I could inquire around. What I gathered did not impress me. Since my son insisted, I choose him as his guru. In addition, the music teacher’s proximity to my house stood in his favor. As per his musician’s suggestion, my son bought his first learner’s guitar which has now taken refuge in the garage attic. Being a self learner, he soon learnt all about guitars and essential accessories. In exactly 7 months after he joined guitar learning, he performed before a small group of audience.